The annual salaries of South Korean civil servants will rise 1.8 percent in 2019, the smallest hike since 2014 when an increase of 1.7 percent was recorded, the Ministry of Personnel Management said Monday. The ministry said the Cabinet meeting approved the salary increase plan for civil servants in the morning, while noting all high-ranking government officials above Grade 2 have decided to voluntarily forego their salary increases for next year in consideration of economic difficulties. The ministry said civil servants' total pay, including base salary and allowances, will rise 2.6 percent in 2019, with the total pay of senior officials higher than Grade 2 set to increase 2 percent on average. 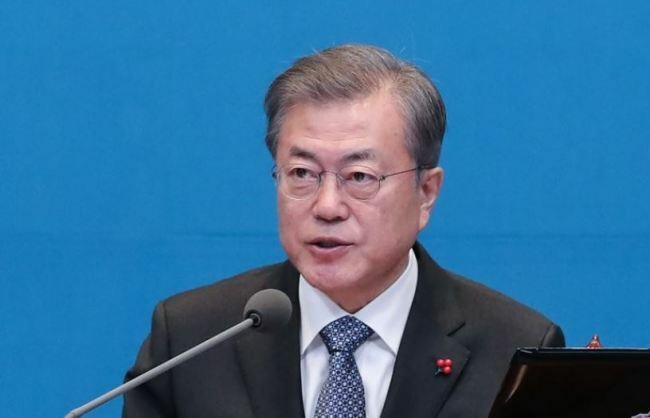 The president's annual salary, excluding allowances, will edge up 0.6 percent to 226.3 million won ($203,400) next year, while the prime minister will be paid 175 million won. The annual salary for the deputy prime minister will rise to 132 million won, with that of Cabinet minister increasing to 129 million won.